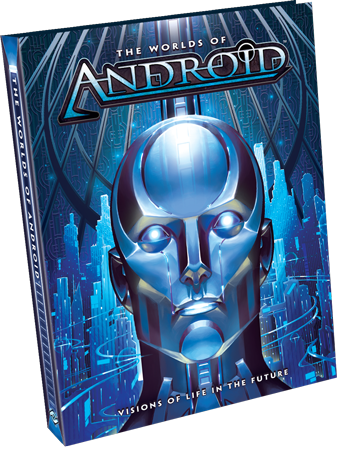 Scheduled for release later this year, The Worlds of Android is a beautiful, 272-page hardbound book and your access point to a deeper understanding of the Android setting and its unique depiction of the not-too-distant future! 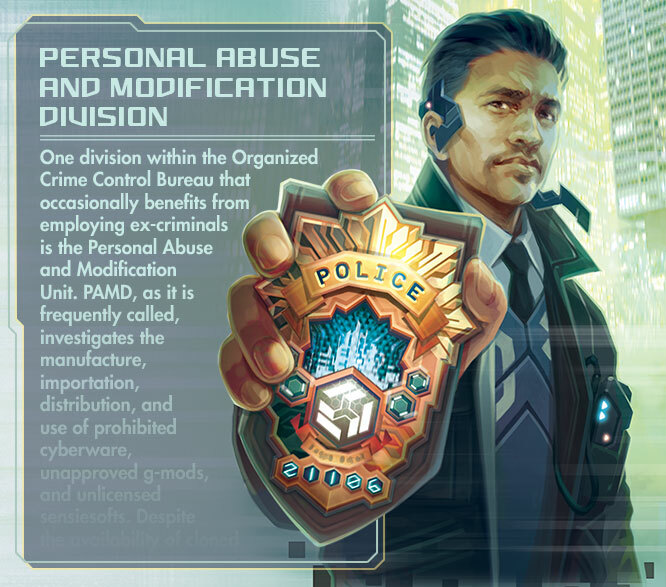 In the rich, fictional setting made popular by Android: Netrunner and the Android board game, the world has changed, but people have not. Technological advances have dramatically reshaped daily life, making work more efficient and play more convenient than ever before. Earth is dotted by massive megacities, millions of people inhabit settlements on the Moon and Mars, and the nature of humanity itself has been redefined by the introduction of clones and true artificial intelligence. Still, the rich use these technologies to grow richer, and the disparity between the "haves" and the "have nots" has widened to staggering extremes by the solar system's four largest megacorps: Haas-Bioroid, Jinteki, NBN, and the Weyland Consortium. This future, its technology, its major players, and its many conflicts lie at the heart of The Worlds of Android. Within its lavishly illustrated pages, which feature scores of new art pieces, you'll find the archived secrets of Haas-Bioroid, Jinteki, NBN, and the Weyland Consortium. You'll learn how their inventions have shaped the course of human history, both for better and for worse. You'll receive a guided tour of Heinlein and Bradbury. 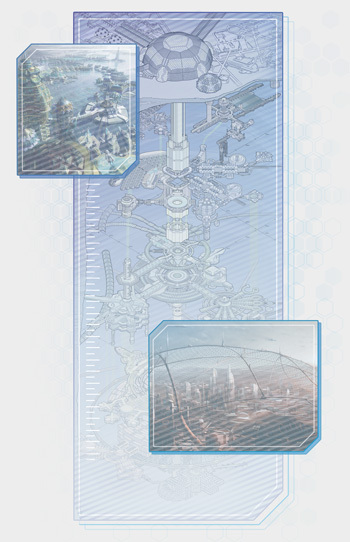 You'll find the Android setting's astonishing diversity reflected by a panoply of voices and media, including fiction, stunning gatefolds, and technical diagrams. …How dangerous are brain-machine interfaces? …Will there ever be a second space elevator? …Who incited the Lunar Insurrection? 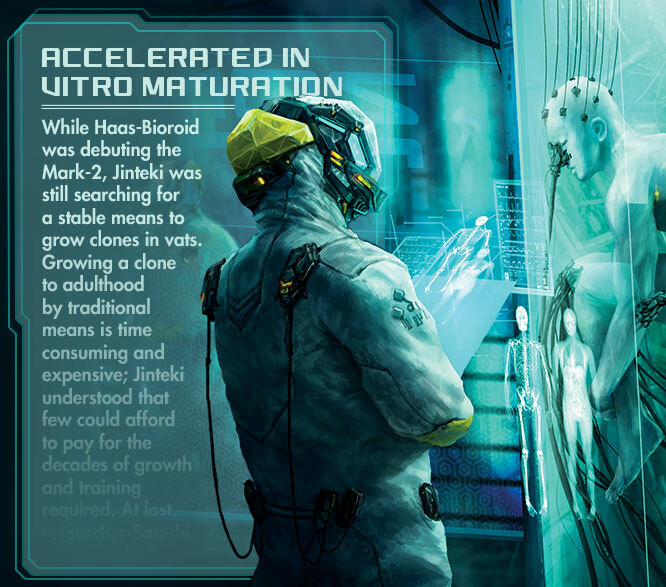 …What are Haas-Bioroid and Jinteki really doing on Mars? You'll find these answers—and more—compiled within The Worlds of Android. Search the data assembled in this gorgeous setting guide, and you may sate your curiosity. Or you may find that as you delve deeper into the Android setting, you merely uncover more intrigues. Corporate scandals. Human interest stories. Murder mysteries. Urban legends. Theological musings. 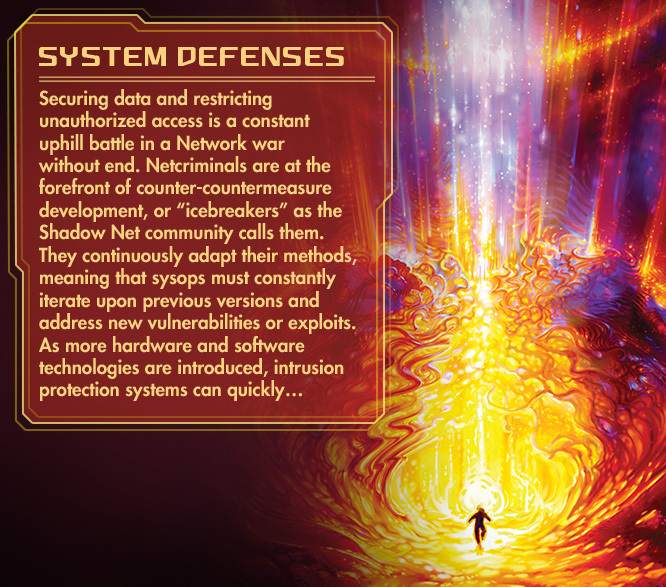 If you're not careful, you may easily find yourself following the data streams all the way through a rabbit hole and into the darkest, uncharted spaces of the Shadow Net. 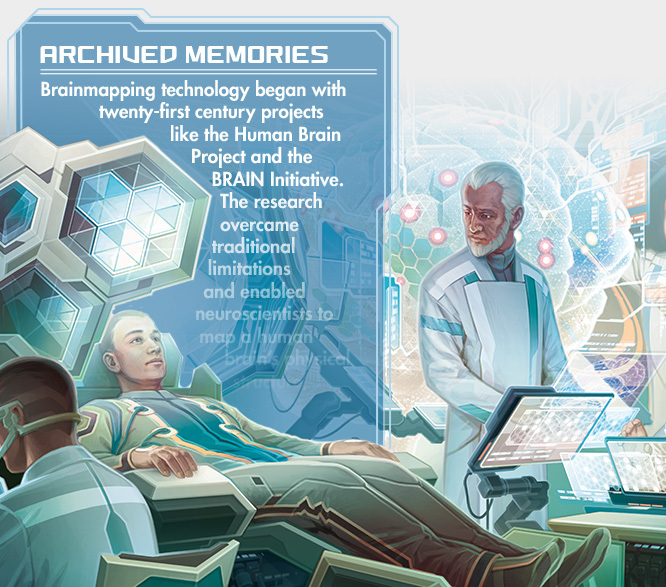 Between the early twenty-first century and the time of Android, four innovations transformed human existence: brainmapping, vat-grown clones, the Network, and the New Angeles Space Elevator. The Worlds of Android is divided into three major sections, and the first introduces these four ground-breaking innovations as well as the corporations that drove them and whose vast influence now permeates every aspect of life. 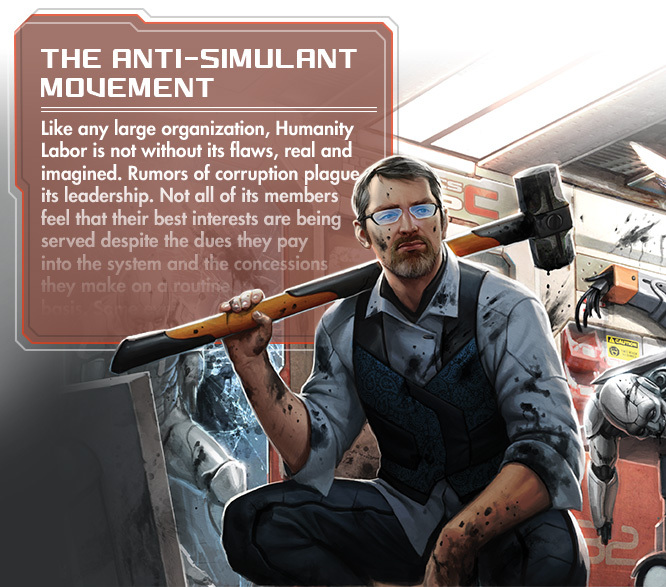 You'll find personalized, unfiltered takes on the robotic bioroids and mass-produced clones that make up a substantial proportion of the modern workforce, as well as the rival megacorporations Haas-Bioroid and Jinteki, who produce them. You’ll enter the private domains of these corporations’ shrewd and secretive leaders, Director Cynthia Haas and Chairman Satoshi Hiro, and also hear from their critics and detractors. The third corp covered in the book's first section is NBN, whose rise is tied directly to the rise of the Network and its sprawling infrastructure. However, NBN is much more than the Network, as you'll discover in The Worlds of Android. It is the world’s main producer of news, threedees, games, sense-dramas, and any other kind of data you would want to access via your PAD (personal access device). NBN also manages your credaccount, helps you stay connected with family, and collaborates with numerous governments in combating cybercrime. Meanwhile, no corporation has had a more visible impact on the world's landscape than the Weyland Consortium. Chief among the company's accomplishments is the New Angeles Space Elevator, a.k.a the "Beanstalk," which reaches to an asteroid anchored over 70,000 kilometers above the earth’s surface. 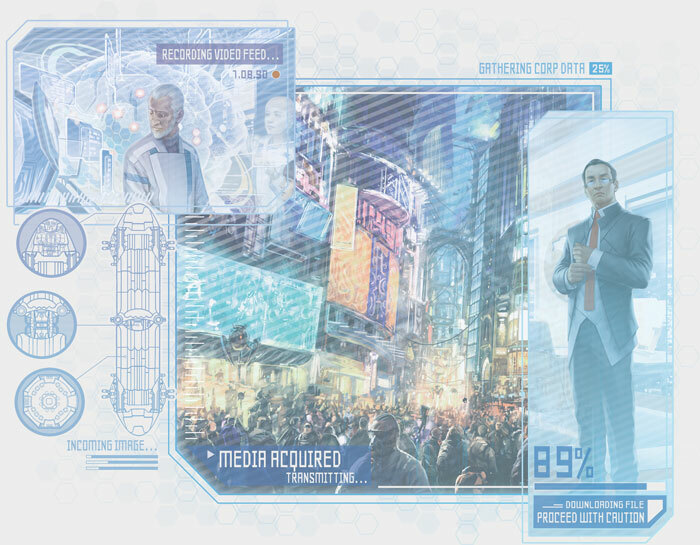 The Worlds of Android addresses the fantastic impact of this gargantuan structure, gives you a guided tour, and reveals many of the secrets of its engineering that Weyland would prefer to keep from becoming public. …Do "ghost" runners really exist? …Why is Brazil opposed to androids? 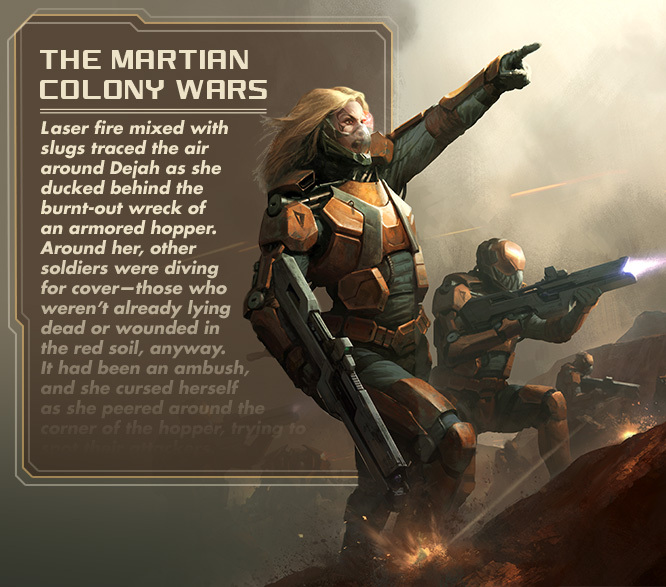 …Why are the members of Crimson Dust fighting for independence from Earth? Humanity's extraterrestrial expansion comes into sharper focus in the second section of The Worlds of Android. You'll get a closer look at humanity's Lunar and Martian settlements, as well as the particular challenges and rewards associated with civilization beyond Earth's atmosphere. Life on Luna has changed dramatically since the development of the first permanent research stations, and it's not all just helium-3. 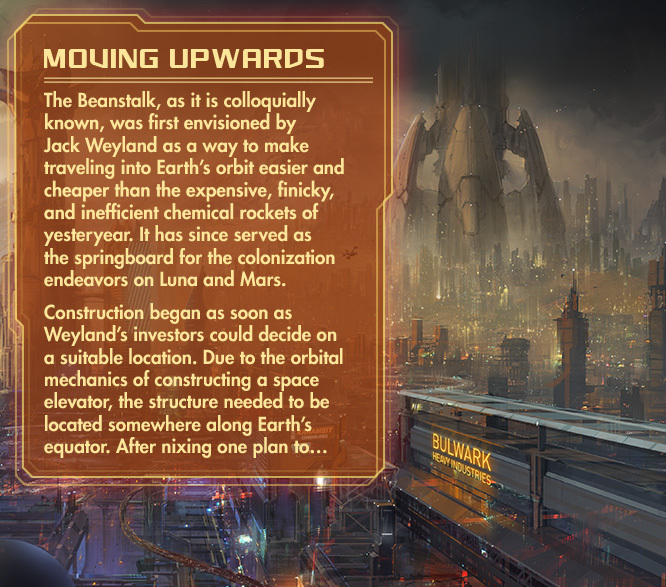 Tourists can take a quick shuttle trip from the Beanstalk's Challenger Planetoid to StarScape Shopping at Starport Kaguya and Prosperity Memorial Park in Lunacent, while corps and orgcrime outfits engage in black-market interplanetary trade in the lawless Docklands. Though most who live on the Moon are immigrants, there's an increasing number of native-born Loonies whose lives and cultures are distinctly Lunar, shaped by Lunar wars, history, physics, and culture. "I against my kin, my kin and I against my clan, my clan and I against the corps." The Worlds of Android also explores the lives of the millions of people who live on Mars, where corporations reign supreme. Despite the progress people have made in terraforming the Red Planet, its feeble atmosphere is not enough to sustain humans whose lungs haven't been extensively g-modded. 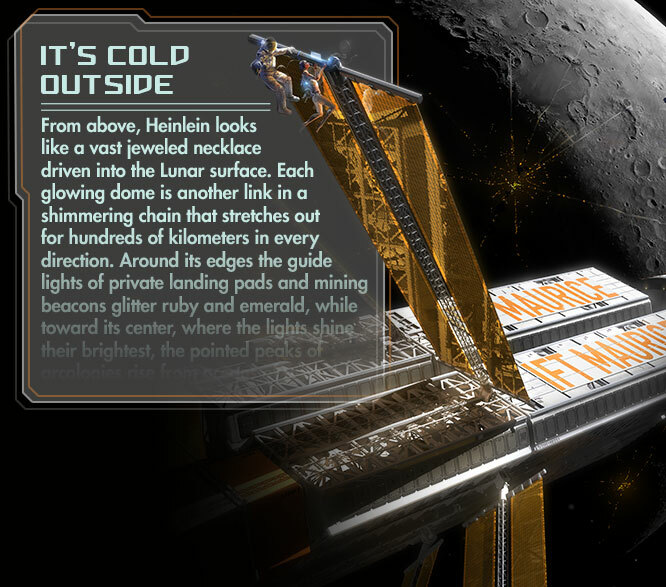 The brutal cold of night and the increased solar radiation are also constant dangers, driving residents into close quarters underground and in habitat domes, and Earth laws don't apply on Mars, making it a haven for expoitative corps interested in profit over people. 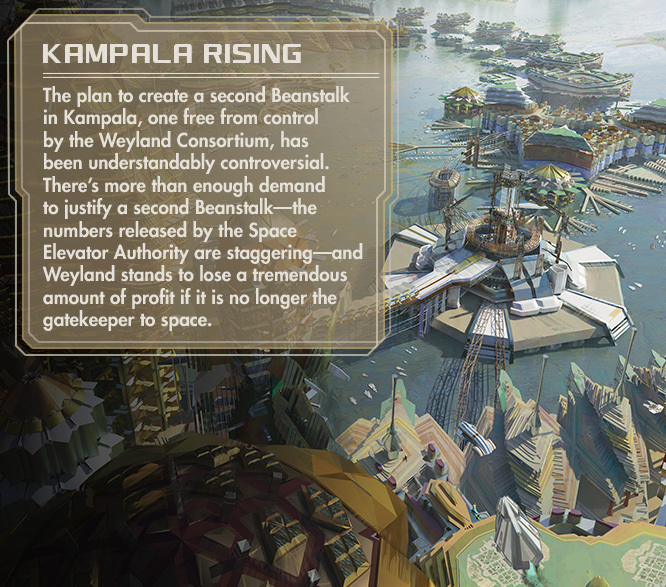 Martians have responded to these environmental and economic threats by banding into a number of clans. 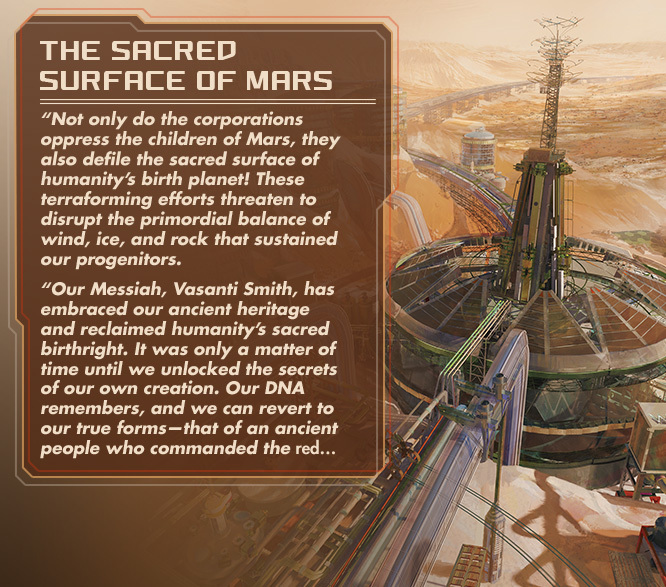 For the many sons and daughters of the Martian clans, the harsh Red Planet is their life and home, while Earth and its corporate scions are the ones who seem distant and alien. __The World Changed. People Did Not. For all its technological advances and extraterrestrial expansion, humanity remains as fallible as ever. The visionaries working to improve the inhabited worlds are woefully outnumbered by more mercenary-minded individuals, who value profit ahead of prosperity for all. For every peace treaty, there has been a war. Humanity's militaries, law enforcement agencies, religions, cults, terror cells, and criminal syndicates feature prominently in the third section of The Worlds of Android. 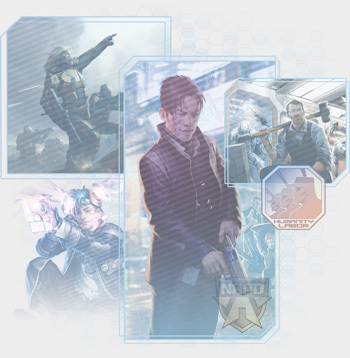 You'll discover a variety of stories about the people who live the Android setting's fast-changing, post-war circumstances: veterans who served on Luna and Mars, clone and bioroid detectives in the New Angeles Police Department, idealistic runners ferreting out corp secrets. The setting book also delves into the vital question of what it means to be human when clones, bioroids, and other forms of AI populate the Network and globe, taking jobs from the poorest. As they have throughout history, many people find absolution in religion, activism, or addiction. What of the clones and androids themselves? Do they have civil rights, spiritual and emotional needs, or even souls? Those controversies lie at the heart of the many conflicts, debates, protests, and riots and even hate crimes detailed in The Worlds of Android. 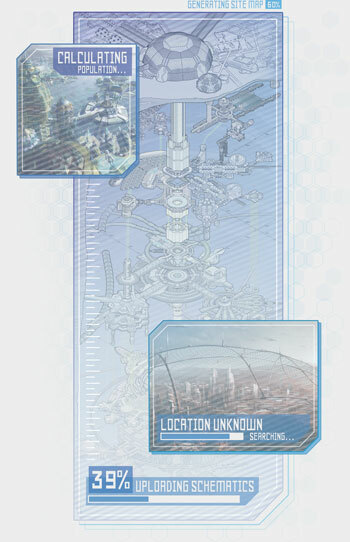 As the definitive guide to the Android setting, The Worlds of Android is a must-have setting guide and art book for every fan of Android: Netrunner and the Android board game who desires further insight into the future's megacorps, technologies, cultures, runners, and cybercrime. Indeed, the old school paperbook contains far more information than we can safely access in a single run, and we'll tap back into more of its data in future previews.